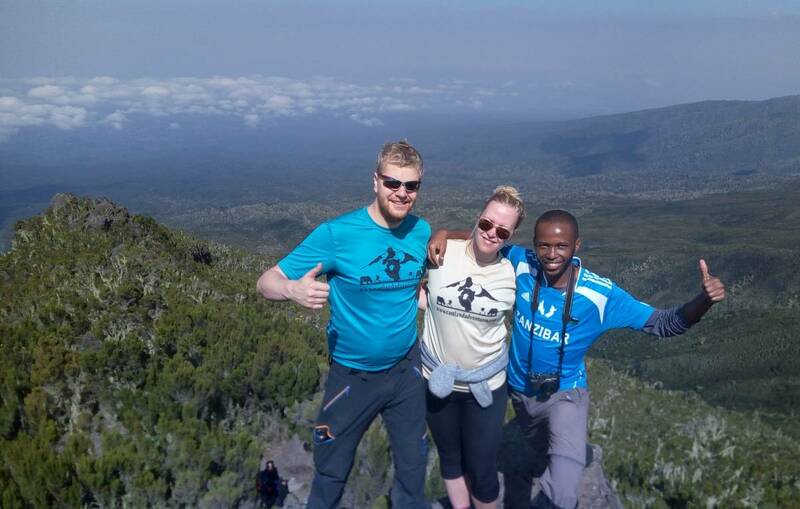 Umbwe route Is the most scenic but is recommended only for experienced climbers. 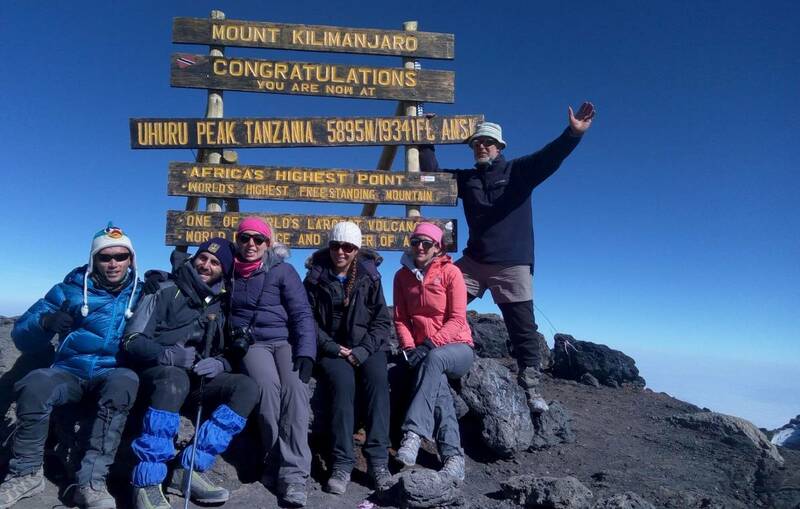 It starts with a quick ascend, so it provides very little time for acclimatization. It is located at the southern part of the mountain and referred to whisky route because of its steep ascend. It can be climbed in 6 to 7 days. To get to Umbwe gate at 1600m you have to drive to Machame gate first to get your entry permit and then you have to drive about 30km back to Moshi and take a diversion left to Umbwe village. 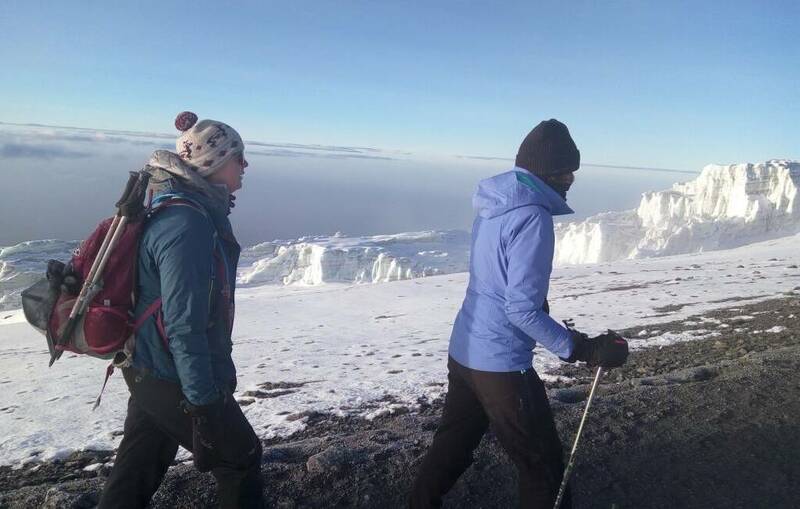 Compared to other routes Umbwe does not provide enough time for acclimatization because from beginning it’s very steep. You will spend two night hotel before and after the climb. The room would be shared per two people, also in the mountain the tent would be shared per two people as well. We will meet and drive from Kilimanjaro International Airport (JRO) to your hotel in Moshi and rest for a while. 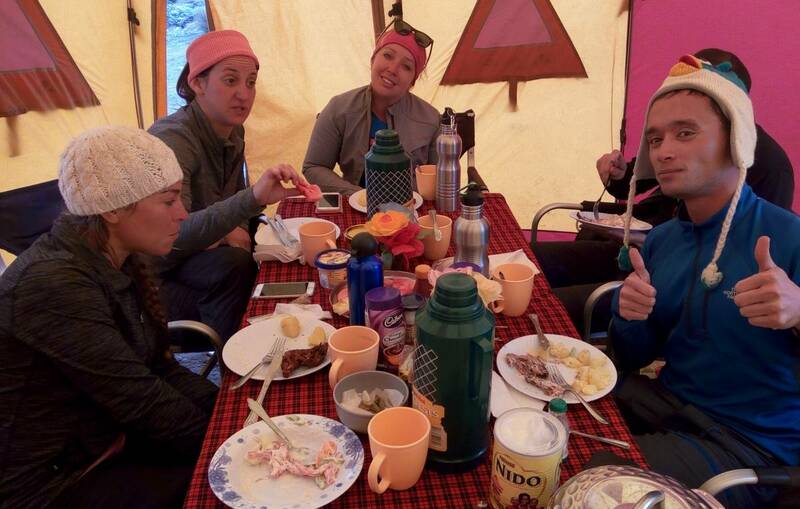 Afterward, you will meet your guide for gear checking and briefing about the mountain. 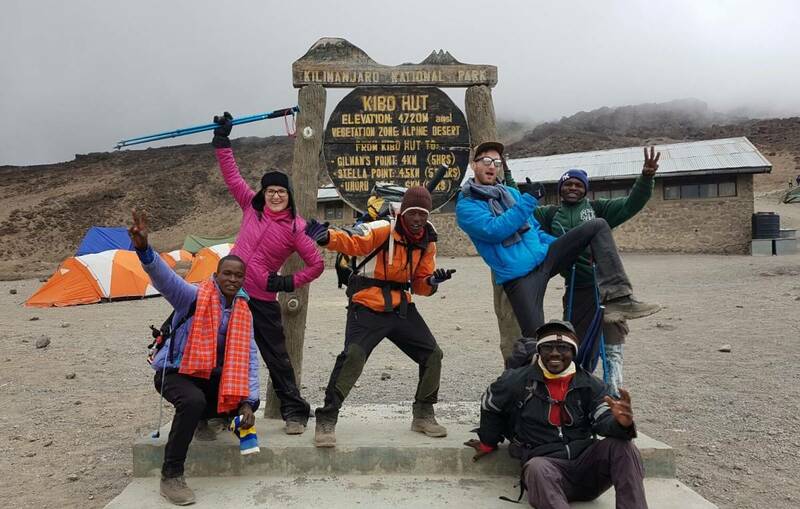 Also, your guide will go through your group camping gear and demonstrate the use and operation of all equipment, especially emergency oxygen cylinder and pulse ox meter and explain signs and symptoms of various mountain sicknesses which might happen while trekking. 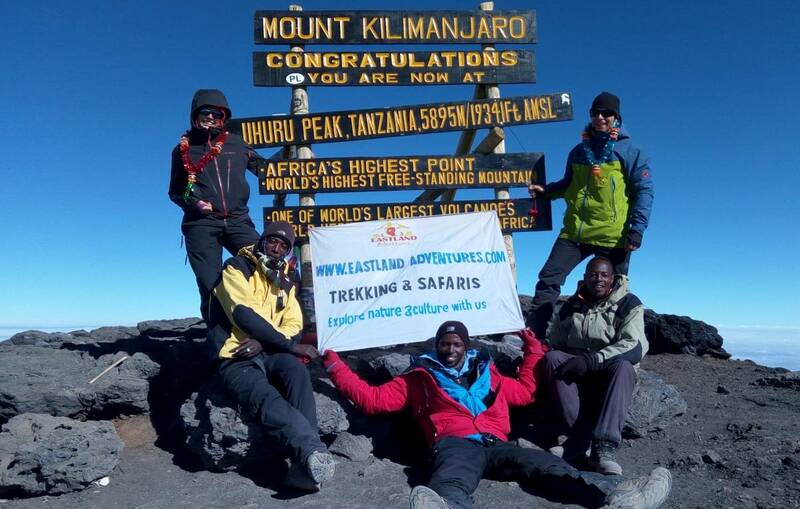 You will hike from Umbwe gate (1600m) to Umbwe camp. You will pass through dense rain forest. You will be able to see Black and White Colobus as well as Blue Monkeys and some endemic flowers like Impatiens Kilimanjari. The distance is 11km and the walk time is 5 to 6 hours including a lunch break. From Umbwe camp to Baranco camp it is a very steep climb. The distance is 6km which will take 4-5 hours of hiking and you will be in the moorland zone. The trail becomes less steep as you get closer to Baranco camp. 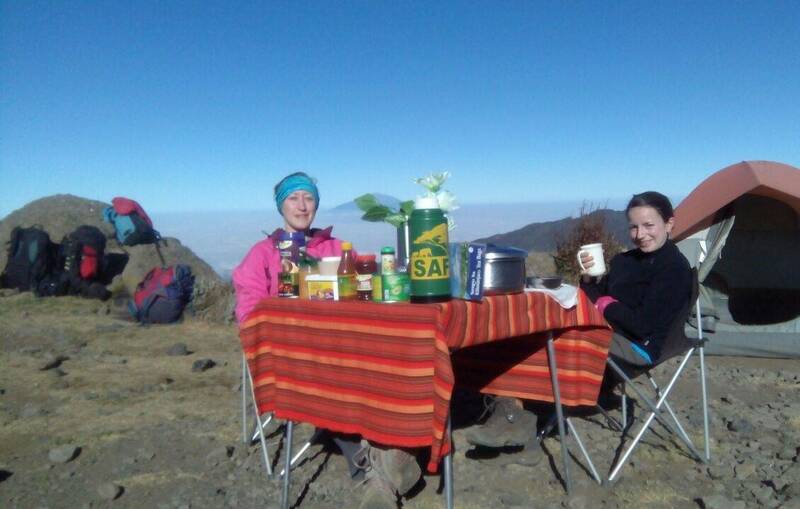 At Baranco camp you will meet climbers from Machame, Lemosho and Londorossi routes. 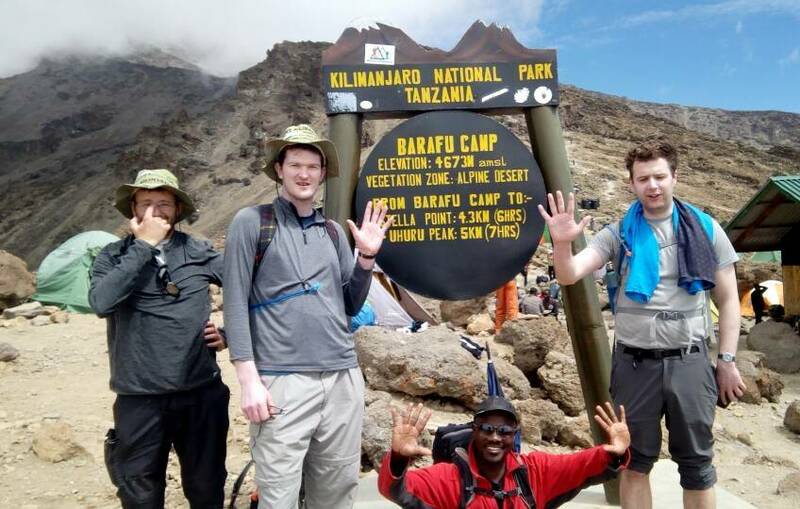 The hike from Umbwe to Baranco offers a nice view of your ultimate destination, Kibo peak, and also numerous rift valleys on the way and the rain forest you crossed on first day. 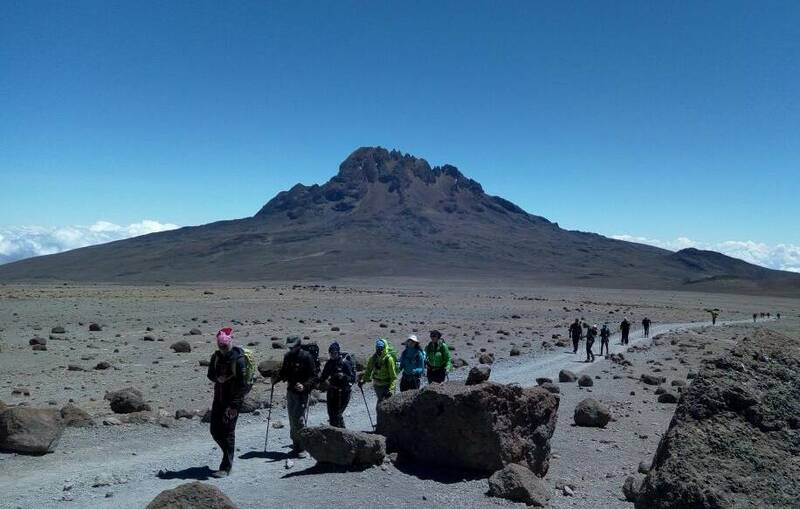 Today, you are still in the Alpine desert and expect to walk for 6 kilometers, about 4 - 5 hours. Start by scrambling up the great Baranco wall for about an hour and a half. In this wall, some section will be steep forcing you to use hands to reach and maneuver yourself around rock boulders like rock climbing, although it’s not as challenging as rock climbing. At the top of the wall, you can see Baranco Valley and the campsite you spent a night before. 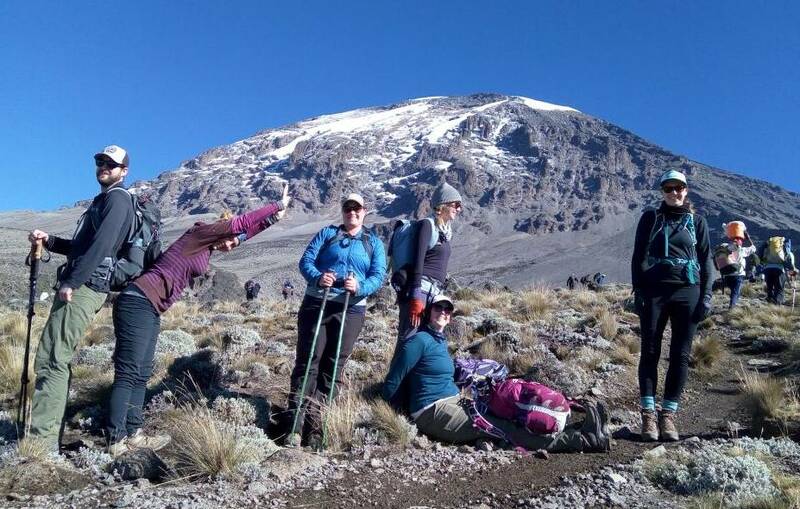 Also, you will walk up and down to the Karanga Valley which is the last water point on the mountain and on top of the ridge will be your campsite where you will have hot lunch and overnight at Karanga Campsite. Today will have another walking of 4 kilometers for 3 - 5 hours in steep up hills with a lot of boulders and shattered rock crossing the upper alpine desert. You will go through a steep ridge until you reach a rocky section more scrambling for about hour and a half. 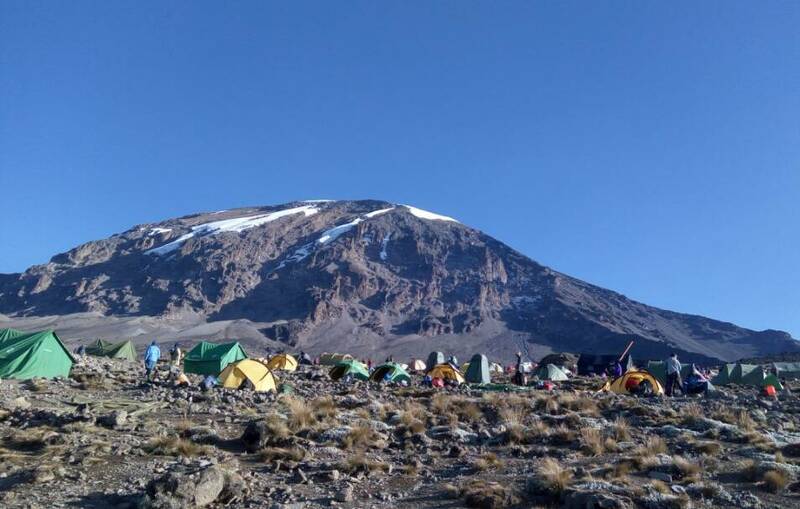 Your next camp will be on large rocky with steep cliff faces and you will have earlier dinner and sleep earlier because you have to wake up in the midnight for the summit. The total distance to cover will be 4kilometers /2.4 miles. 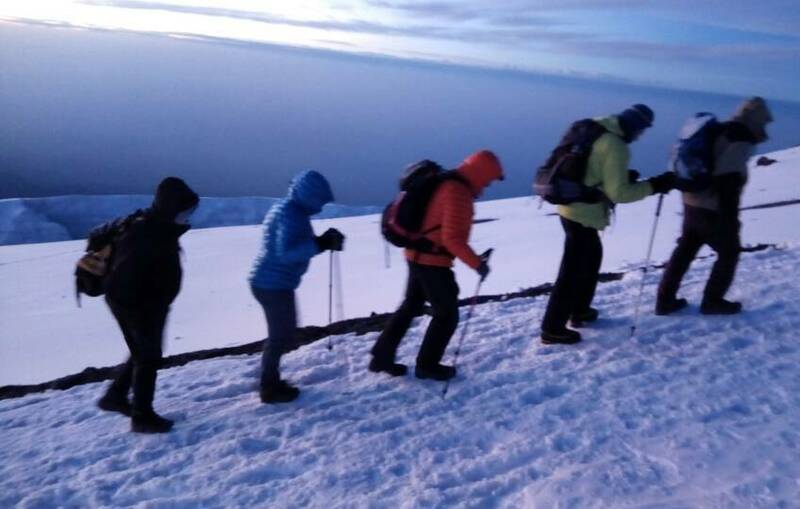 You will wake up around 11:00pm, have some tea and snacks and dress up warm for the summit. 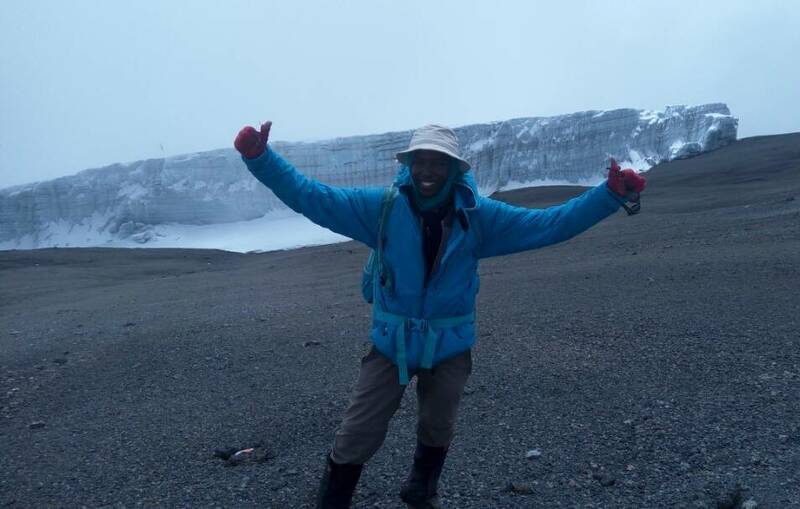 You will start your summit around 12:00am starting with steep rocks for about 2 to 3 hours, and then you will start crossing the zigzag area and keep moving to the crater rim and finally Stella point, 5756 meters around 06:00am. 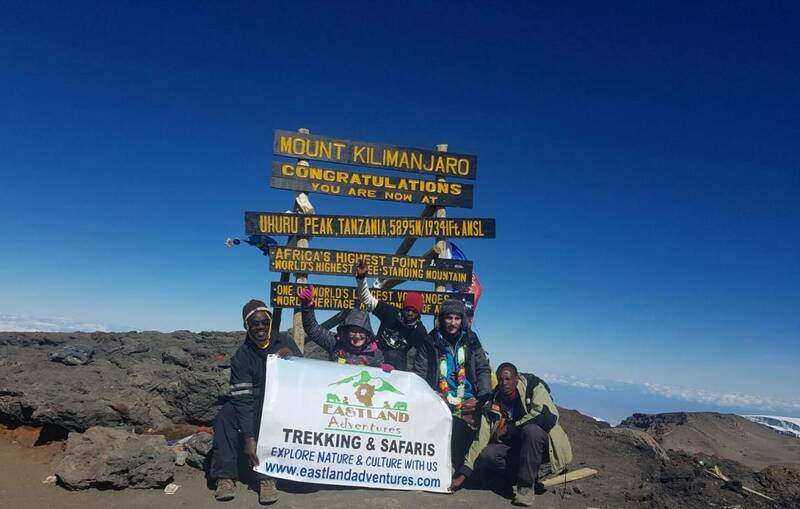 At Stella point, you will meet people from other routes like Marangu and Rongai route and join them heading to Uhuru peak about 1 hour from Stella point. 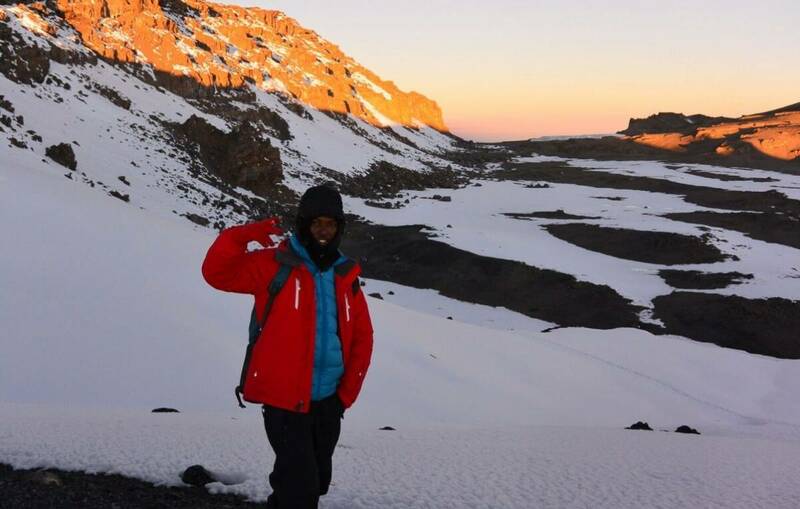 You will be able to see the sunrise at Stella point or on your way to Uhuru or at Uhuru peak, and then you will stay for 10 - 15 minutes for pictures and view, and after, descend to Barafu Campsite for resting brunch and descend down to Mweka Camp. 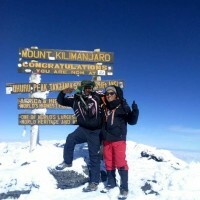 The total distances round trip to the summit and back to the base camp is 10kilometers. 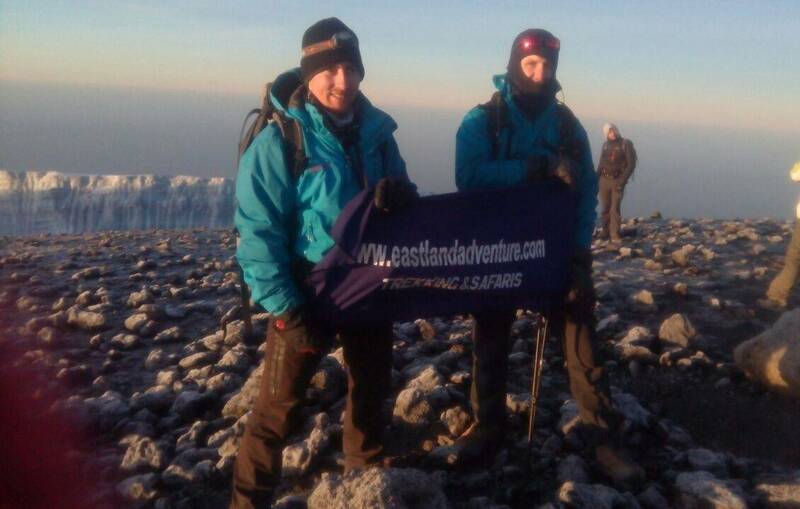 Today after breakfast, you will meet your Eastland Adventures Kilimanjaro crew for group pictures and Kilimanjaro songs and afterward, start descending down for 3 - 4 hours to cover the distances of 10 kilometers and you will back again to rain forest heading all the way to Mweka gate and you will sing out in National park log book. 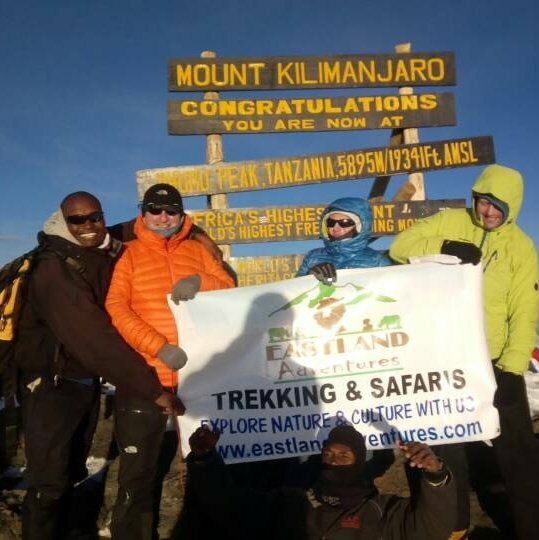 Your guide will collect certificates for those who made the successful summit and we will drive to your hotel in Moshi for a long shower and Kilimanjaro beer. • Personal equipment such as boot, backpack, sleeping bag, etc.